I went out at lunchtime today but the weather wasn’t great and I didn’t spot any dogs! I went to my parents after work with Ethan so I went for a little walk down the street. I bumped into gorgeous Bentley and his human mummy again and so we walked down the street together. We then bumped into handsome Loki too! I then spotted a very happy looking Border Collie up ahead so I dashed ahead to meet him! Alfie is a very friendly boy, he jumped up to say hello straight away! Alfie used to belong to his current humans daughters friends but they didn’t have enough time to look after him so he went to live in his current home. 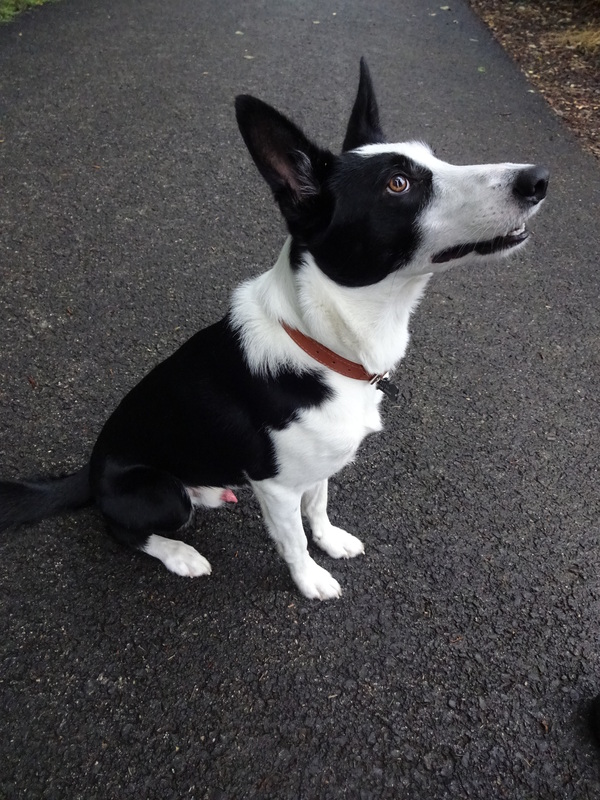 He goes for lots of long walks every day, he loves it and really loves fetching his ball, he can run really fast! Alfie does a strange thing, every time his humans answer the phone he jumps up high in the air, as high as their shoulders! They think he might do it for attention! Favourite food: Alfie eats dried food mixed with when food in gravy! Favourite toy: Alfie loves squeaky toys, he has lots of them! Favourite pastime: Running and playing fetch!